If you’d rather not have the latest adaptation of “Murder on the Orient Express” ruined, we suggest you see the movie before reading this article. Mastering the mystery genre is like performing a magic trick. It’s all about deception. In a magic trick, the magician leads you to believe one thing is happening when, in reality, the real trick is happening behind his back, where you’re not looking. That’s exactly how the mystery at the center of “Murder on the Orient Express” functions. The deception in the mystery of the film comes not from the murder itself, or from the point of view of the audience — all of that is fairly standard. No, the deception is a result of clever writing. When the story begins, the audience settles into the shoes of the main character: Hercules Poirot. We, for lack of a better phrase, see the world through his eyes and, therefore, know what he knows. Or so we think. See, when watching mystery films, most audience members will be prone to simply follow along with Poirot, just barely keeping up as he learns new information and discovers new evidence. They might start out with the hopeful thought that they’ll figure it all out before the characters do — and the cleverest among them just might — but 10 or 20 minutes in, most will fall behind. This is where the screenwriter sets his trap. By knowing that the majority of audience members will likely be just behind Poirot’s detective work, screenwriter Michael Green is able to deceive them. First, take some of the dialogue. Notice the word choice: murderer, killer, one of them. All singular words, which lead the audience to believe that there is a single killer. Even the first quote, spoken by Mr. Bouc, misleads the audience to think that the passengers of the Orient Express don’t actually know one another when, in fact, they do. The second clever deception of the audience comes in the form of carefully revealed backstory. It is only after Poirot and Bouc discover a half-burned note in the murdered Ratchett’s compartment that the tragic story of the Armstrong family is shown onscreen. Up to that point, the only mention of the Armstrong case is when Poirot asks the courier in Istanbul if the case he is being called to work on deals with Cassetti. With absolutely no knowledge of the hidden backstory to this murder mystery, as Poirot tells the Armstrong story, the audience is left to fall further and further behind. This trick comes down to timing. If, for instance, the Armstrong footage had been shown to start the film, the audience would have been in a completely different mindset to “solve” the mystery with Poirot. But without it, the audience is left at a disadvantage, which is actually advantageous to the screenwriter hoping for the big reveal at the climax of the movie. When Poirot speaks with Mary Debenham for the second time and presents her with a list of 10 unanswered questions, it is she who says that there very well may be an eleventh question that holds the answer to the rest. 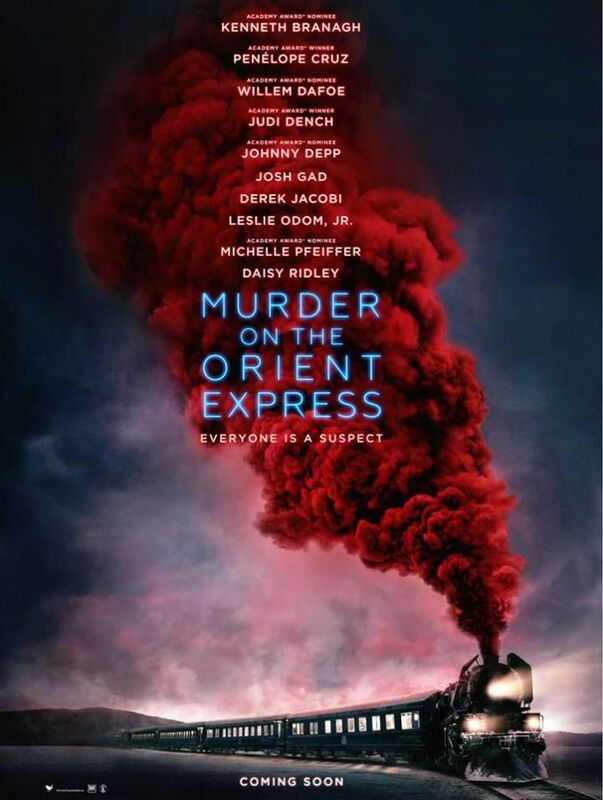 If “Murder on the Orient Express” had a thesis statement, this would be it. The entire narrative hinges on the fact that there is an eleventh question that neither the audience nor Poirot are aware of. It allows the screenwriter to insert misleading dialogue, clever red herrings, and clues that don’t entirely make sense. And therein lies the key to writing a great mystery. You must know the answer to the eleventh question, even if your main characters don’t know it exists. Then, and only then, will you be able to write a Hercules Poirot worthy reveal.